Despite the name, Salad Blue potatoes are not great for salads as they’re a tad on the floury side and crumble when boiled. However, they do make great chips and mash. And blue ones at that! Bred by the Victorians in Scotland in the early 1900’s, they could be seen, as they were then, as a novelty potato. 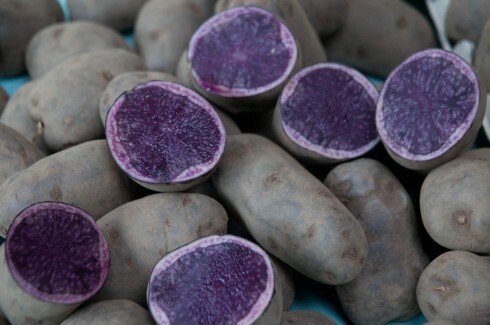 But the blue colouring is said to contain all-important antioxidants, so surely, this is a super veg! 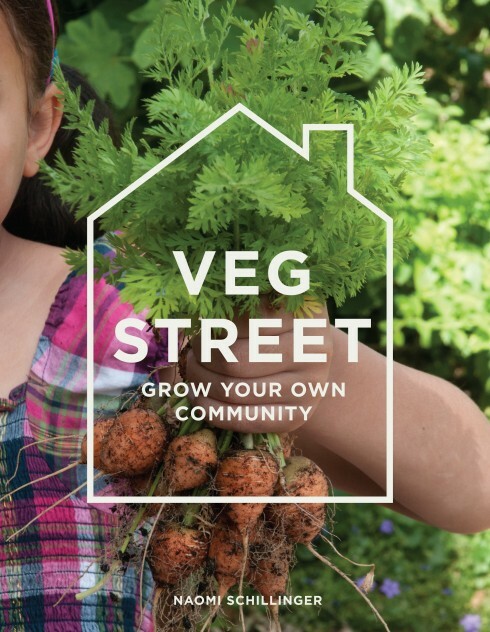 We’re going to have a go at growing these tubers in growbags for our veg growing project this year and if I can find a spare patch of grass, I’ll continue my ‘no dig’ experiments too. It’s still bitter outside, so I’ll chit these tubers in a cool and bright room until milder temperatures return. And planted at the end of March or the beginning of April, these groovy spuds should be ready (weather permitting) to harvest in August and September. 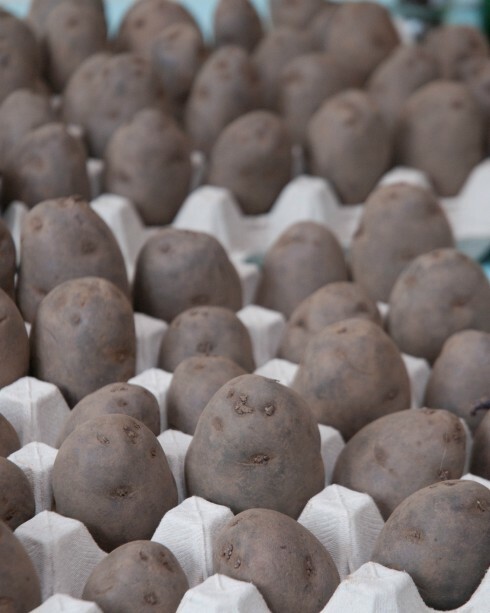 Salad Blue seed potatoes can be bought from Carroll’s Heritage Potatoes and Pennard Plants.